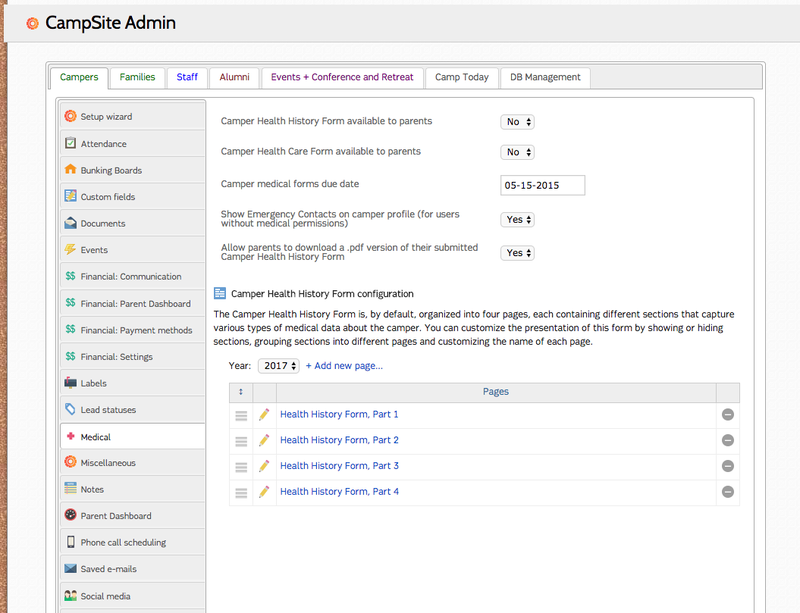 From here you can select the setting for The Health History Forms. 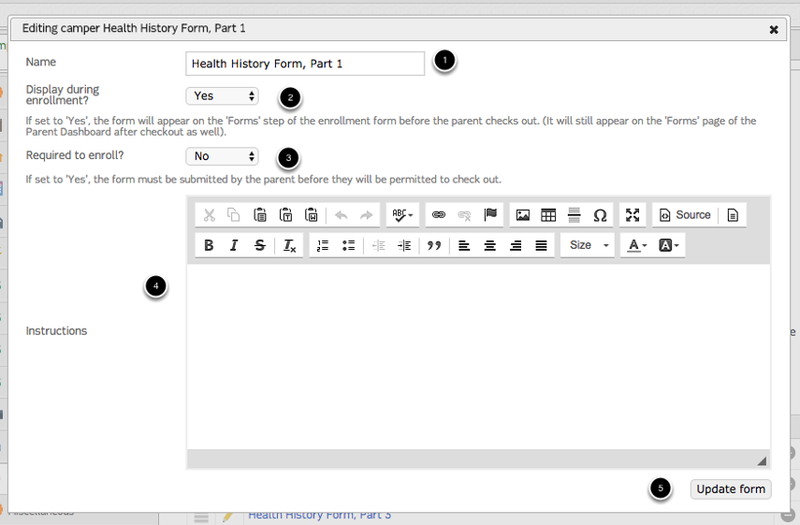 By double clicking on the edit pencil icon you can further adjust the settings for the forms. Set or adjust the title. Choose if it is displayed during enrollment. Add a header with instructions.